Dion, known for his hit 'The Wanderer', made his comeback in 1962 with a follow-up hit to the historical single. 'Lovers Who Wander', which was a great success and reached number 3 in the charts. 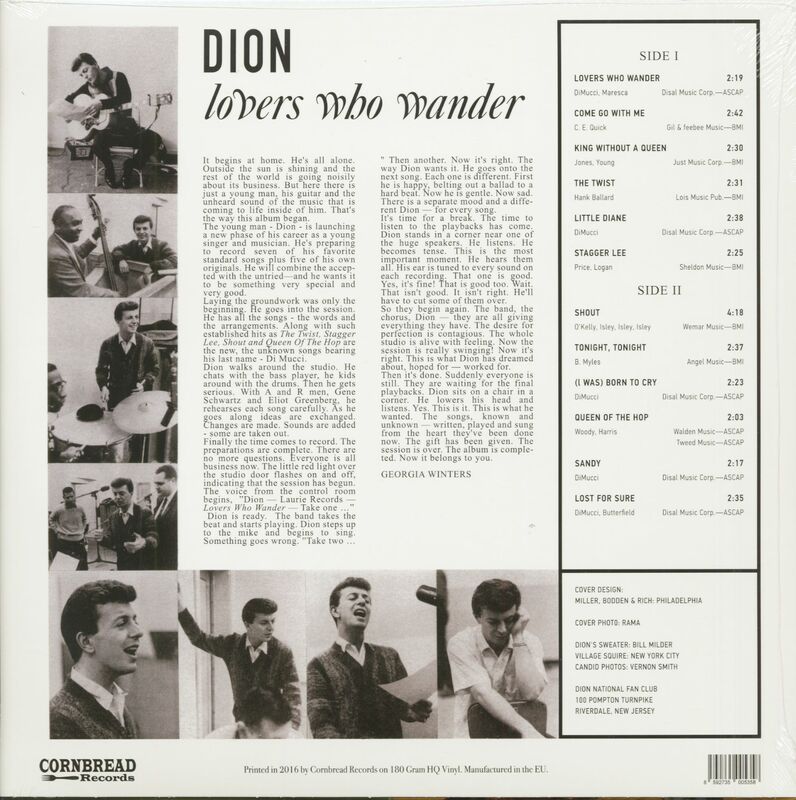 The pride of the Bronx, Dion and The Belmonts personified the best in Italian-American doo-wop, by now flourishing across the boroughs of New York City. Lead singer Dion DiMucci describes his quartet's brawny sound as "black music filtered through an Italian neighborhood and comes out with an attitude: 'Yo!' It's true. It has all those elements. But the New York Italian-American, there's an element of, 'Yo! You talkin' to me?' There's this kind of idea, like you come across like you're supposed to know everything. I don't know where I got that idea, because it's absurd. But anyway, that's the attitude. I would say it's a confidence." DiMucci assembled his Belmonts from the mean streets of his home turf, gathering first tenor Angelo D'Aleo, second tenor Fred Milano, and baritone/bass Carlo Mastrangelo. Their infectious I Wonder Why was a pop hit in the spring of 1958 on brothers Bob and Gene Schwartz's freshly minted Laurie Records, and they were just getting started (it's on our previous compilation). 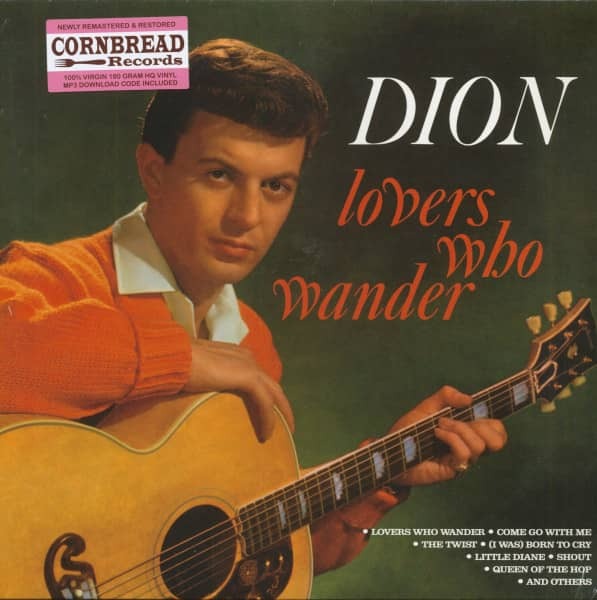 For their next Laurie outing, Dion and his cronies gave Fats Domino's I Can't Go On (Rosalie) a rocking reading, but it was the butter-smooth ballad flip No One Knows that made the charts late that summer, actually bettering I Wonder Why at #19 pop. Before year's end, they charted again with another tender ballad, Don't Pity Me. Brill Building denizens Doc Pomus and Mort Shuman were about to embark on an incredible songwriting roll, having just handed Fabian his first smash. "I wanted to do 'Turn Me Loose,'" notes Dion. "I liked 'Turn Me Loose.'" 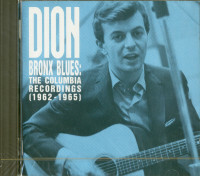 The prolific duo had something special for Dion and The Belmonts too. "The way 'A Teenager In Love' came in, Ricky Nelson had 'Poor Little Fool.' 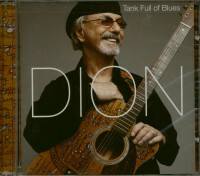 So I kind of sang it to The Belmonts, and they started doing this thing," says Dion. 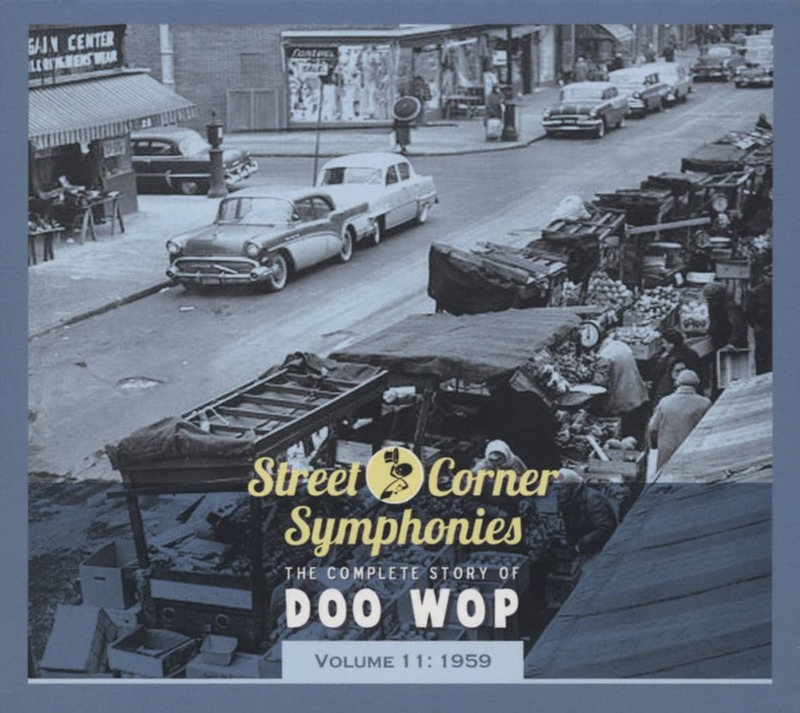 "Then Mort Shuman and Doc Pomus, they had another song, I forget what it was called. And they kind of changed it to 'Teenager In Love,' and put that together. So it was kind of wonderful to just kind of sit on this blanket, the sound that the group was making. But definitely, if you listen to 'Poor Little Fool,' you can hear what kind of inspired it.' Waxed March 3, 1959 and issued on the same month with the mellow I've Cried Before on the flip, A Teenager In Love was a #5 pop smash that spring. 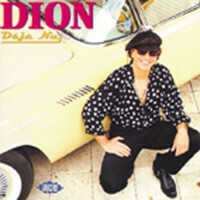 Dion and The Belmonts were now teen idols. DiMucci wisely never underestimated the value of his songwriters. "Doc Pomus was like a father to me, very much so. He really encouraged me. I miss him. He was just a great guy. I just used to like talking to Doc. Mort Shuman I loved. Mort Shuman was totally incredible," says Dion. "He was a great guy to hang out with. He was so interesting. I loved being with him." Customer evaluation for "Lovers Who Wander (LP, 180g Vinyl)"